PHOENIX — On Opening Day, 750 players began the season on an active roster in Major League Baseball. Among them, only 10 total native Mexicans started the 2018 season in such a position. 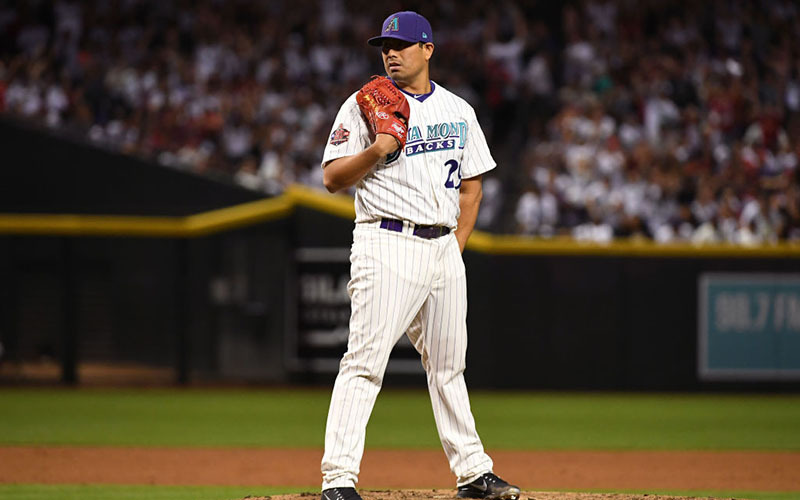 The Arizona Diamondbacks boast two of them in their bullpen: left-handed pitcher Jorge De La Rosa and right-hander Fernando Salas. The veteran relievers are the first pair of Mexican teammates to play for the Diamondbacks since 2004, when Arizona briefly retained right-handers Edgar González and Elmer Dessens. Dessens was traded that season to the Los Angeles Dodgers. Statistics suggest this a rare feat. Last year, 42.3 percent of active players in MLB were minorities, according to data from MLB’s 2017 Racial and Gender Report Card. Latino players accounted for 31.9 percent of the league. Although those figures are an encouraging sign suggesting improved diversity within baseball, it’s noteworthy that last season only 1 percent of players on Opening Day rosters were Mexican. This makes it particularly uncommon for Mexican players to be teammates. For both De La Rosa and Salas, this makes playing together all the more meaningful. De La Rosa, who hails from Monterrey, Nuevo León, Mexico, is a 15-year MLB veteran. At 37, he’s the oldest Mexican player currently on a major league roster. He debuted in the majors, during the 2004 season with the Milwaukee Brewers. He was originally signed as an amateur free agent by Arizona in 1998, but the Monterrey Sultanes of the Mexican Baseball League purchased his contract in 1999. The Boston Red Sox purchased De La Rosa from Monterrey ahead of the 2001 season. He has since appeared in the big leagues with the Brewers, Royals, Rockies and Diamondbacks over the course of his career. Being back with the organization that initially selected him is special for De La Rosa. He said that Arizona’s performance last season, when the club reached the National League Division Series, made his decision even easier. In four appearances, De La Rosa has tossed 2 2/3 innings this season. Salas, 32, was also encouraged by the success Arizona amassed last season. He is also excited about playing with the Diamondbacks because of the team’s connection to his hometown of Huatabampo, Sonora, Mexico. “It’s really good because a lot of people in Mexico follow this team because it’s near the border,” Salas said. Salas began his professional career in the Mexico Baseball League, pitching for the Saltillo Saraperos as a 20-year-old. The St. Louis Cardinals purchased Salas’ contract in 2007, and he debuted for the major-league club in 2010. He’s also appeared for the Los Angeles Angels and New York Mets. 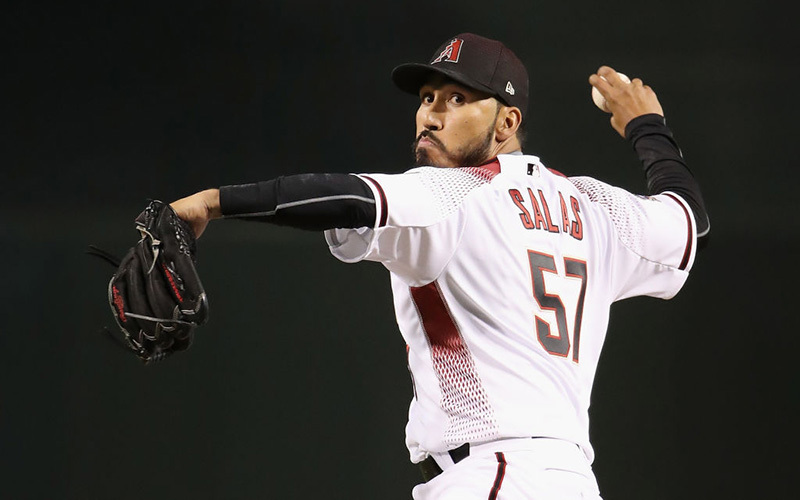 This offseason, Salas signed a minor-league contract with the Diamondbacks and managed to crack the big-league roster. After up-and-down stints with the Mets and Angels, he said he’s really enjoyed his time with Arizona so far. Through four appearances, Salas has posted a 1-1 record and 2.57 ERA across seven innings. Although both De La Rosa and Salas are beyond their primes at this point in their careers, they take pride in their current situation. Arizona presents each an opportunity to play as close to home as they possibly could in the major leagues. To boot, the Diamondbacks feature a strong Mexican following that is often present during games.